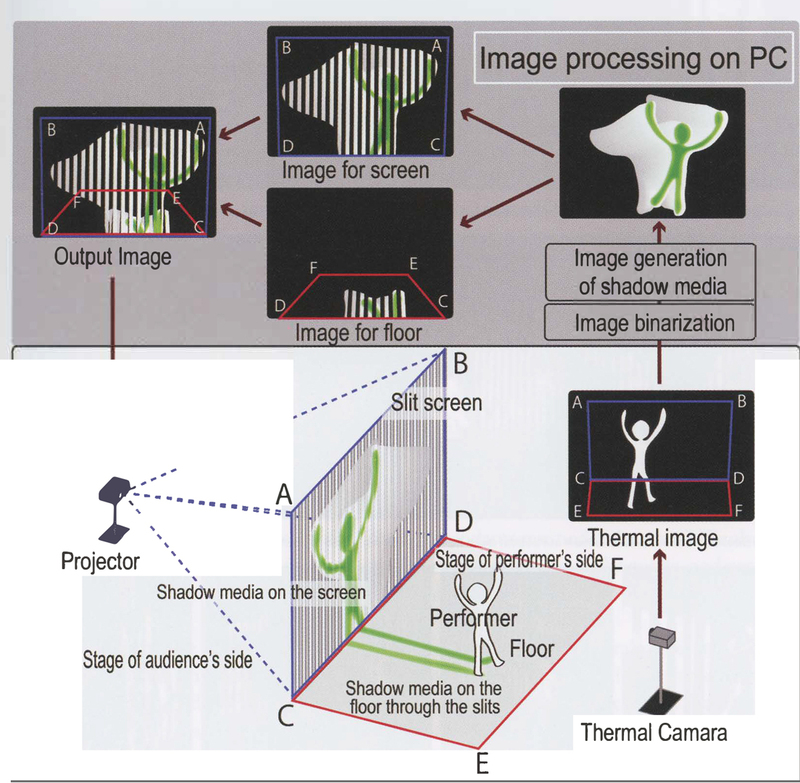 installation of projectors on the ceiling. 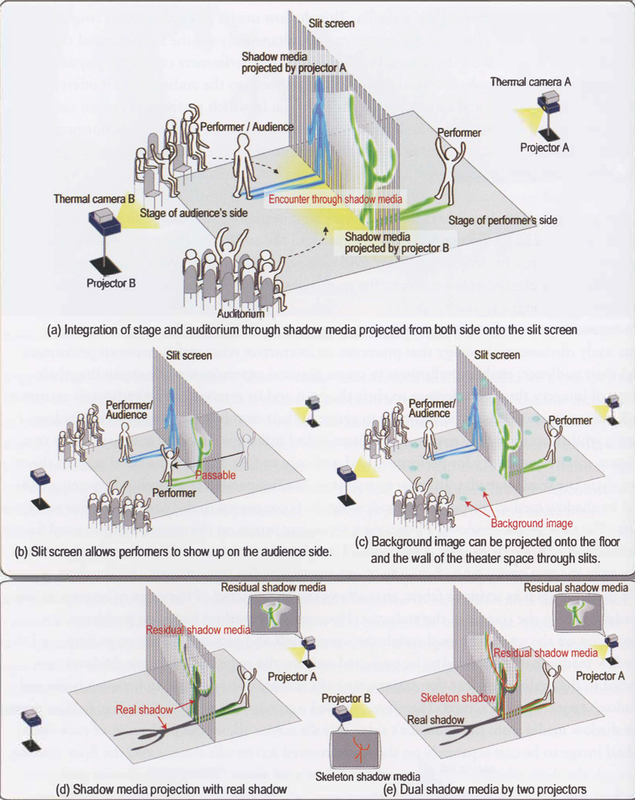 This is quite beneficial because it halves the number of projectors required. 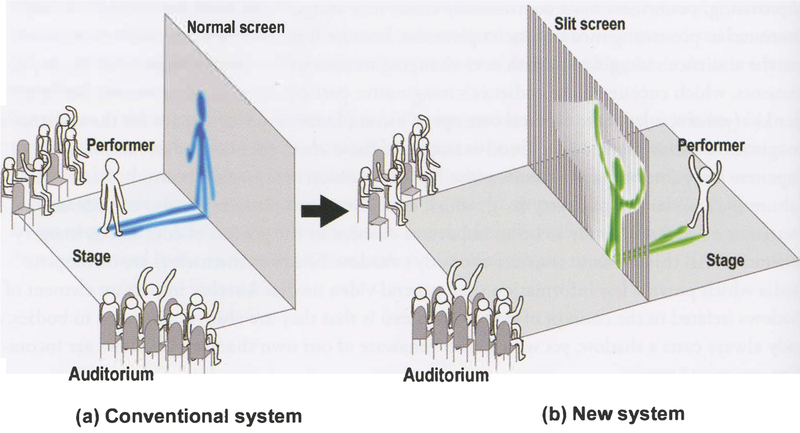 Furthermore, as mentioned above, we can project the audience’s shadow media by bilaterally and symmetrically arranging the new shadow media projection system with a central focus on the slit screen.